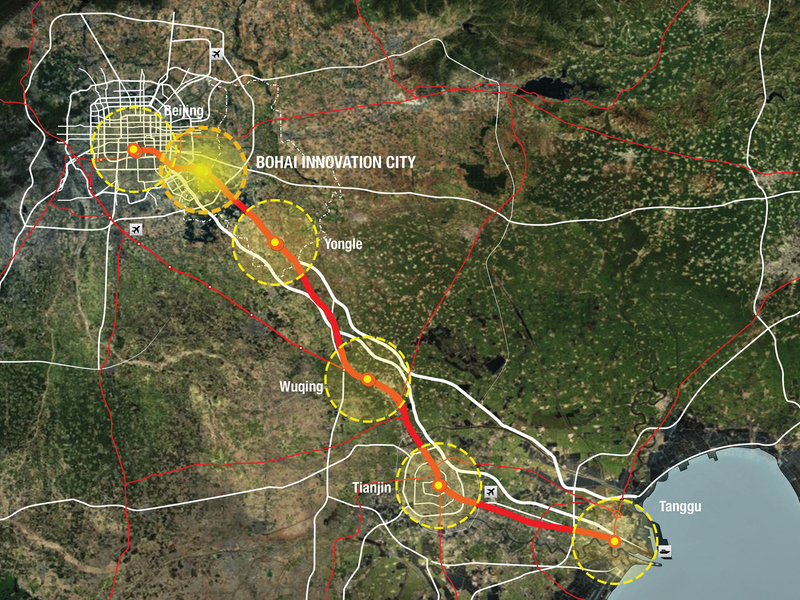 A new model of compact, environmentally enhanced urban design by SOM for the rapid development of satellite cities along Chinese high speed rail corridors has won an international design competition with its Beijing Bohai Innovation City Master Plan. The plan leverages the economic and lifestyle assets of the Beijing-Tianjin corridor by centering the new environmentally friendly district along the high-speed-rail line linking the national capital to the port city of Tianjin. 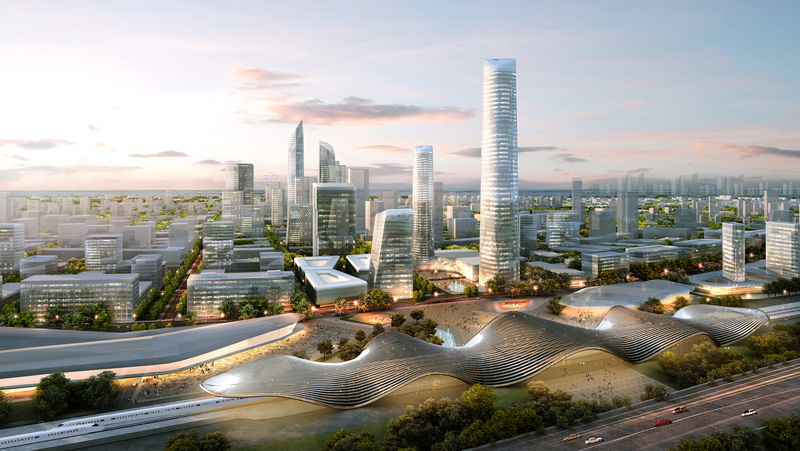 The city expansion will host 17.6 million square meters of mixed-use development, with a focus on providing a premier headquarters location for advanced industries in the dynamically growing Bohai Rim, a region that already accounts for more than a quarter of China’s GDP. 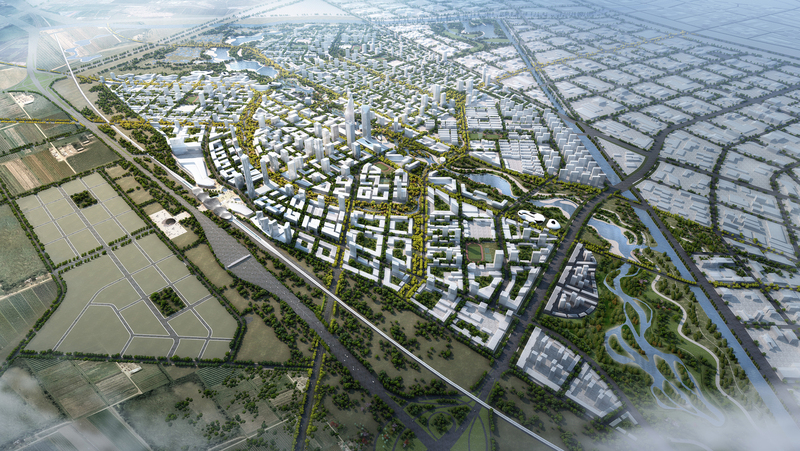 With half the 1,473-hectare site allocated to open space and nature, the Beijing Bohai Rim is a human and family-oriented mixed-use urban community within an environmentally friendly framework to attract talented people and forward-thinking Chinese and international firms that want to position themselves in the same way. 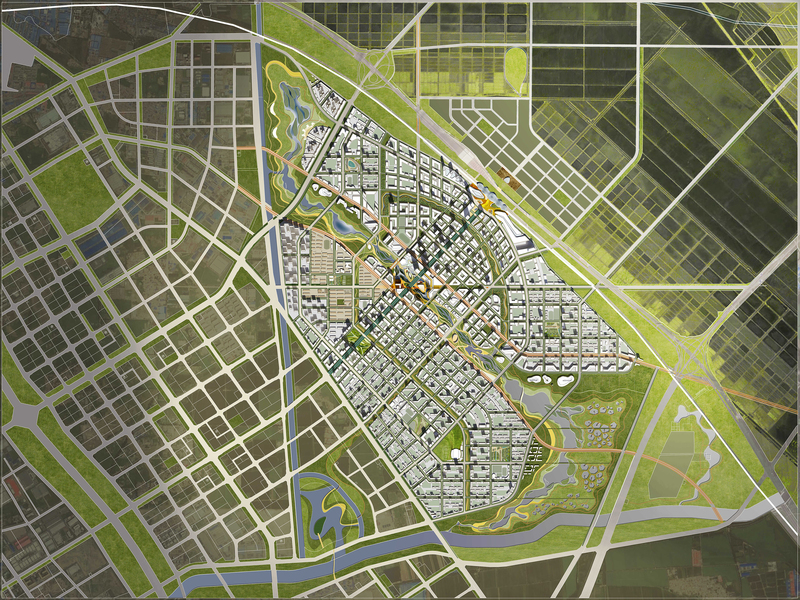 The master plan is designed with a central business district organized around a high speed train station and five distinct neighborhoods offering diverse housing, education, shopping and work destinations. 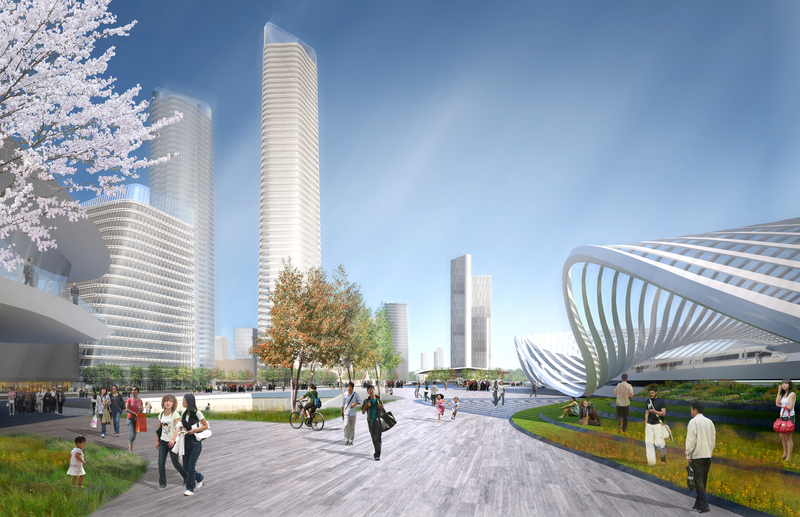 It modifies the street grid to incorporate existing road alignments while enhancing connectivity to the high speed rail station and creating special view corridors to landmark developments. By uniting high-speed rail with metro lines, bus rapid transit, local streetcar and a state-of-the-art electric car fleet, the plan enables 80 percent of the city’s personal transportation to be by transit, walking and bicycling. 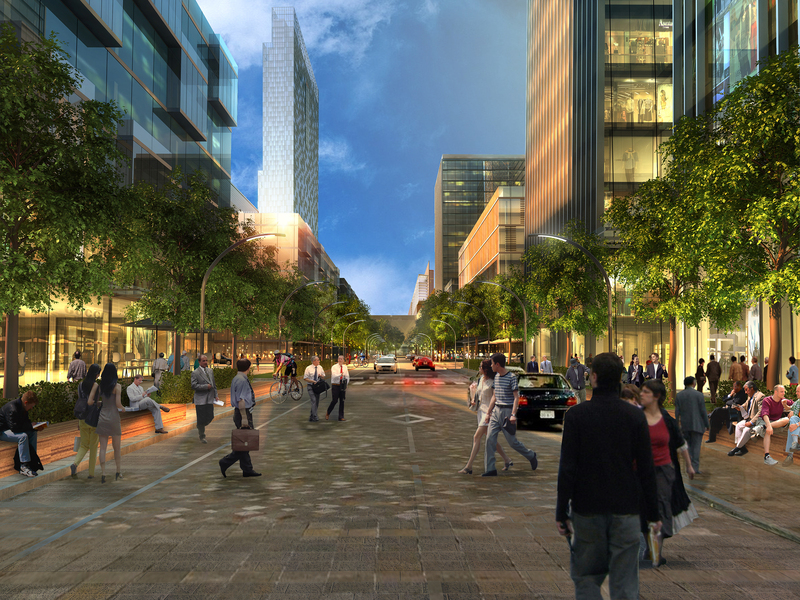 Combined with pedestrian and bicycle friendly street design, this network conveniently connects residents to neighboring workplaces, schools and cultural amenities along green streets and corridors.